Marriage is a ceremony of colors in India, bringing joy and happiness for the bride, groom and the families and it is no different for a Bengali bride. 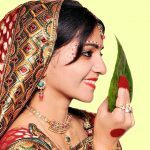 Bengali brides are known for their grace and beauty; and today we are here to share few details on how to do a beautiful Bengali bridal makeup easily. So below are the step by step makeup tips for the wedding party. Clean your face off all previous makeup/oil or dirt. Do your regular cleansing, toning and moisturizing regime, and make sure to leave the moisturizer on the skin for 5/10 minutes before starting the makeup. This way the moisturizer will soak deep within the skin. 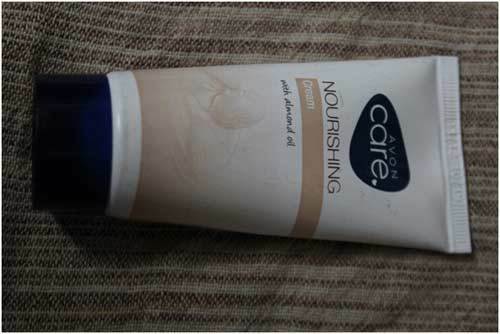 I have used the nourishing cream from Avon. It is a good cream made using almond oil. Apply a good primer or base for your makeup, before you begin the main parts. If you have oily skin make sure that you use the right priming products,, to achieve problem free application. This also is important as you want your makeup to stay for a long time on your skin. I haven’t used any primer but it is advisable to use a good base for it to look good in pictures and also for the makeup to stay longer. 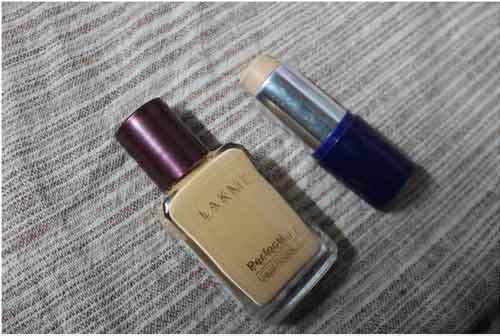 Apply the foundation and also the concealer. Blend them well. Pat them well, so that they stay for a longer period. Avoid rubbing it as it can leave patches. We will start with the eye makeup first. 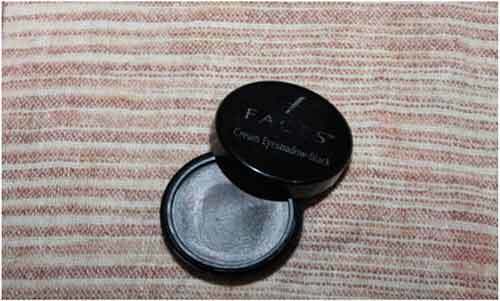 Apply a black crème eye shadow as a base for the Smokey eye. 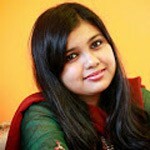 For Bengali bridal makeup, smokey look works best. 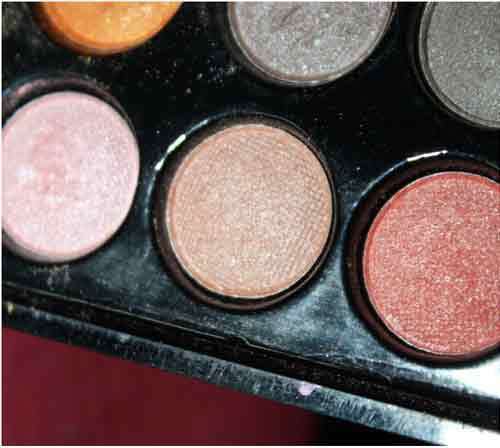 I am going to do a coral Smokey eye but the color can be manipulated as per one’s needs. 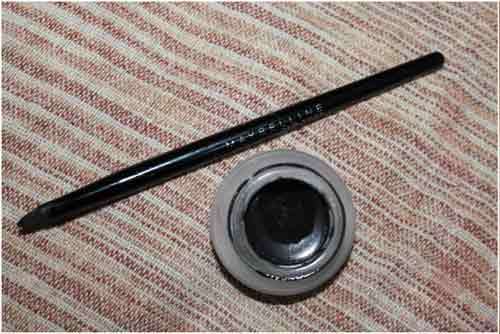 If you do not have crème shadows take a smudgy kohl pencil and apply a thick line of it on the lid. Now smudge all the kohl and create the base. Add layers for more intense color. 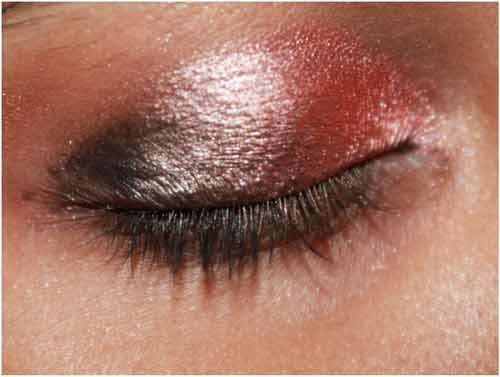 Apply the coral eye shadow on the inner corner of the eyes and apply till the inner 2/3rd of the eye. Further, add more of the eye shadow to intensify the shade. Use a flat brush to apply so there is minimal fall outs. Now take the blending brush and blend the black and the coral shade together. 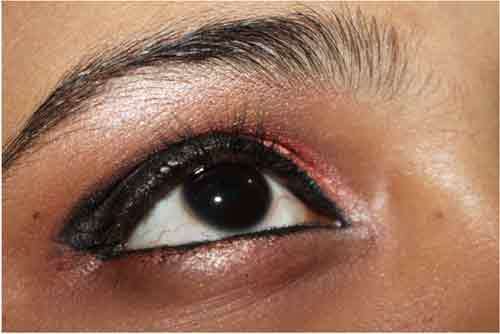 Take the eye liner and line the upper lid and the lower lid with kohl. 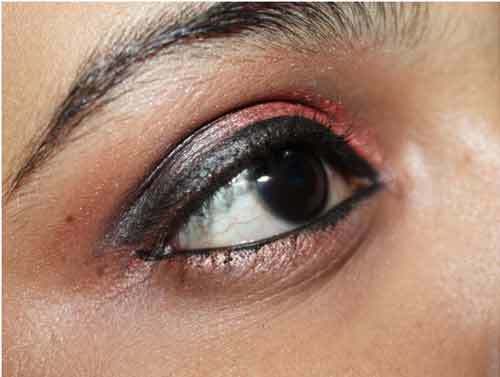 Do not make the line thick as we already have a dramatic eye makeup comprising the smokey look. Also take a little bit of the coral shade on an angular brush and sweep under the lower lashes till 1/3rd inwards. Complete the eye makeup look with the use of a highlighter shade under the brow bone to accentuate the eye makeup further. Add a few coats of mascara to your lashes and the eye make up is done. Bridal eye makeup accentuates beauty to a higher level. Clean up any fallout and carry on with the rest of the look. Apply blush on the cheeks and apply compact all over the face to give a matt finish to the face. 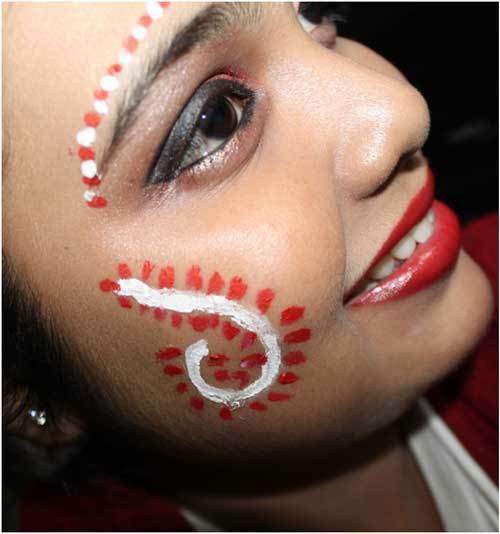 Bengali brides have their foreheads and cheeks decorated with red and white decorative motifs. 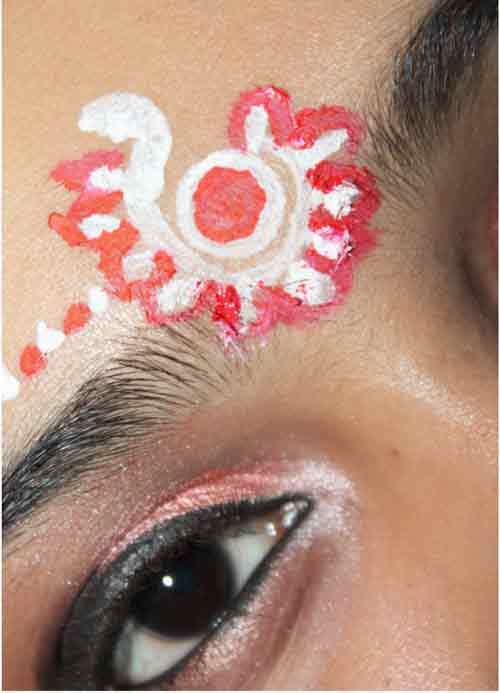 The starting point is the red bindi on the forehead and the use of kalki shapes is common along with leaves. 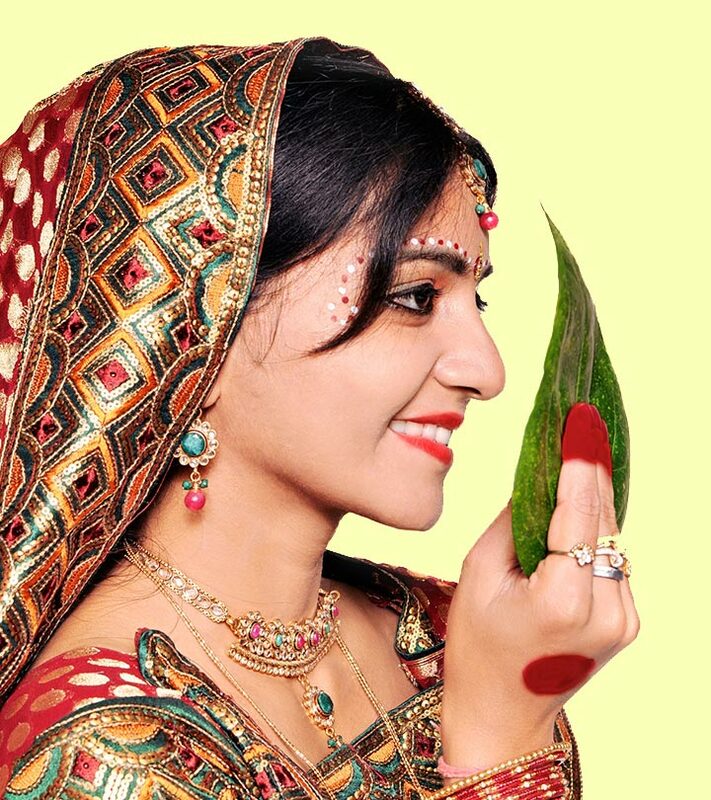 I have opted for a very easy bridal makeup bengali look. Traditionally the white is chandan and the red is vermillion mixed with water or creams but I prefer skin friendly paints. I used red and white color to make these motifs. These are very simple and can be easily made using a thin brush or a tooth pick or a matchstick. I’ve used a matchstick. Now after the patterns are drawn what are left are the lips. 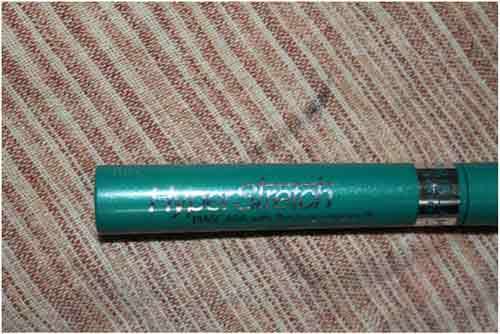 Apply a bit of lip balm and then apply the lip liner, fill in it. Now apply the lipstick over the lip balm. After a layer of lipstick, bolt and reapply another layer. 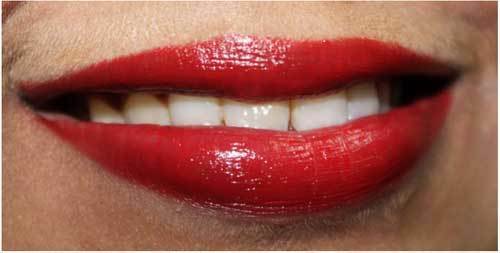 You may add a coat of gloss over the lipstick. Use a white highlighter pencil to accentuate the Cupid’s bow and you are ready to go.